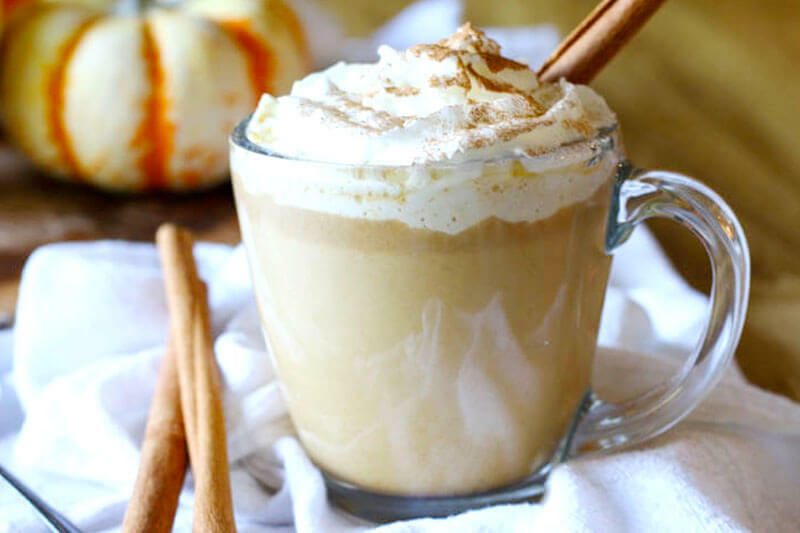 This round-up has amazingly delicious and nutritious pumpkin recipes… all of which are low-carb and Trim Healthy Mama-friendly (as S dishes), with some that are full-on keto. Before we get to the actual low-carb pumpkin goodness, let's establish why pumpkins can be considered low-carb. Generally, we don't think of pumpkins as a low-carb food because they are sweet and starchy. According to My Fitness Pal, 1 cup of cooked pumpkin contains 12 grams of carbs. However, pumpkin is also considered a high-fiber food coming in at 2.7 grams of fiber for that same cup. You'll notice that canned pumpkin may contain twice more fiber than homemade pumpkin puree. This is due to the manufacturing process of condensing the pumpkin to make it thicker for cakes and pies. Like other types of winter squash, pumpkin is particularly rich in soluble fiber. This is the type of fiber that may help control blood glucose levels and keep you fuller longer. 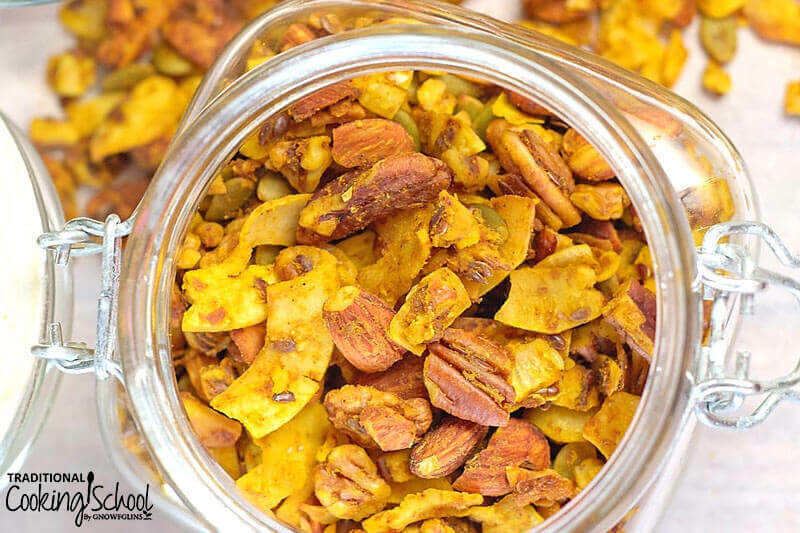 Additionally, pumpkin is also rich in Vitamins A, C, iron, potassium, magnesium, and other essential nutrients. Due to all that fiber, pumpkins are actually a great option for low-carb folks. 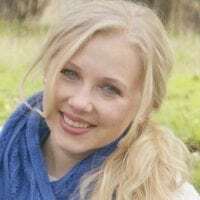 They are also highly versatile — you can use them in savory recipes such as soups and stews, as well as sweet treats like lattes and cheesecake. Pumpkin is a wonderful fall staple that can be used in a myriad of ways while providing incredible nutrition to your table! You'll notice that most of the recipes below call for pumpkin purée. 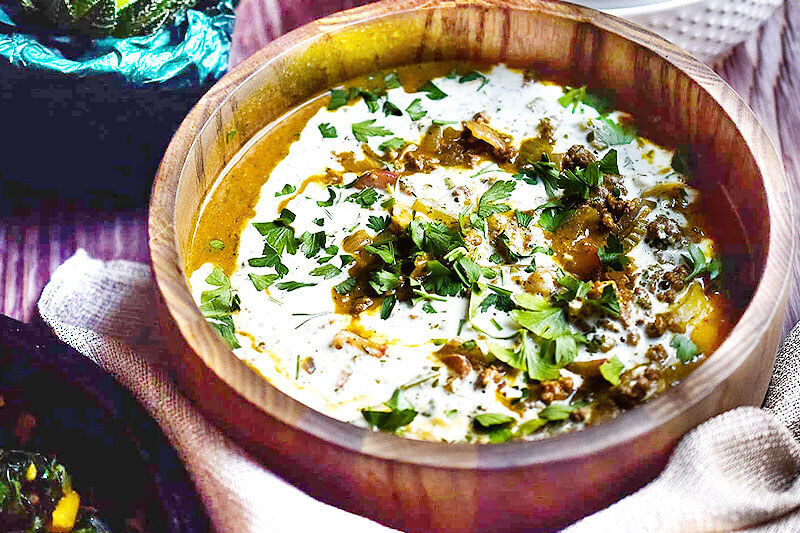 Although homemade is always the best option, canned or tetra-packed will work just as well. Just remember to read those labels to avoid added salt and other unwanted ingredients. Also, be sure you're getting pumpkin puree or canned pumpkin — not pumpkin pie filling! Image courtesy of The Paleo Mom. 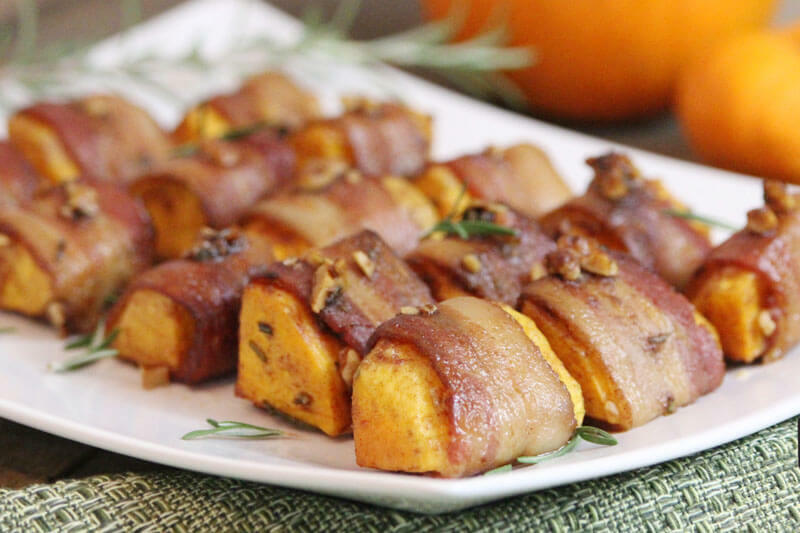 Bacon Wrapped Spiced Pumpkin — Simply skip the maple syrup or use a sugar-free variety. Image courtesy of The Castaway Kitchen. Pumpkin Seafood Chowder — Skip the sugar or use monk fruit. Roasted Pumpkin Soup — Skip the carrots to keep the carb count low. Image courtesy of Raising Generation Nourished. 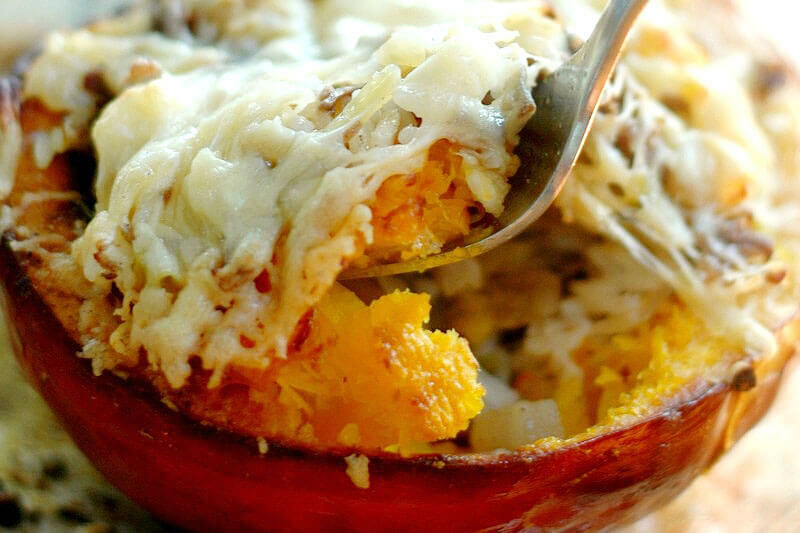 Stuffed Pumpkin — Use cauliflower in place of rice, or simply omit the rice altogether. Low-Carb Pumpkin Pie Recipe — Use nut milk to keep it low carb. 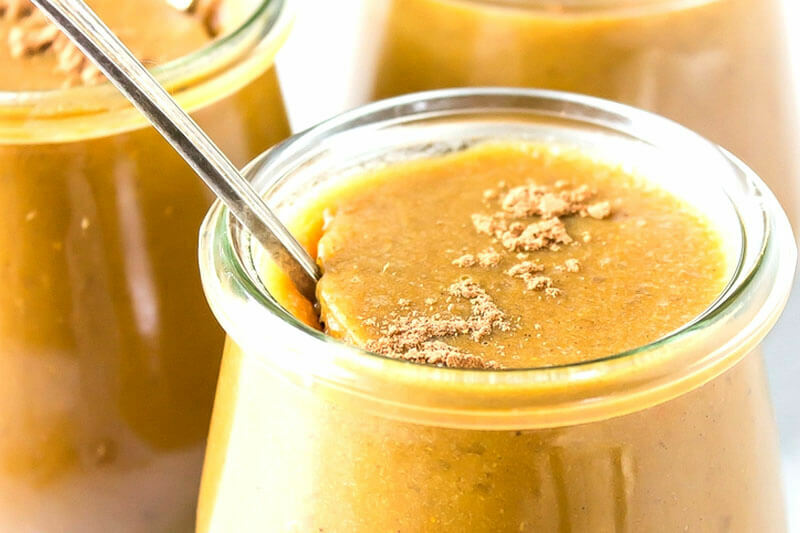 Healthy Pumpkin Pie Chia Pudding — Use low carb maple syrup. Green Pumpkin Pie Smoothie — Skip the Medjool dates. I'm sure they won't be missed, between the sweet pumpkin and a bit of stevia! Image courtesy of Scattered Thoughts of a Crafty Mom. Spiced Paleo Pumpkin Bread — This savory bread will complement a bowl of soup! 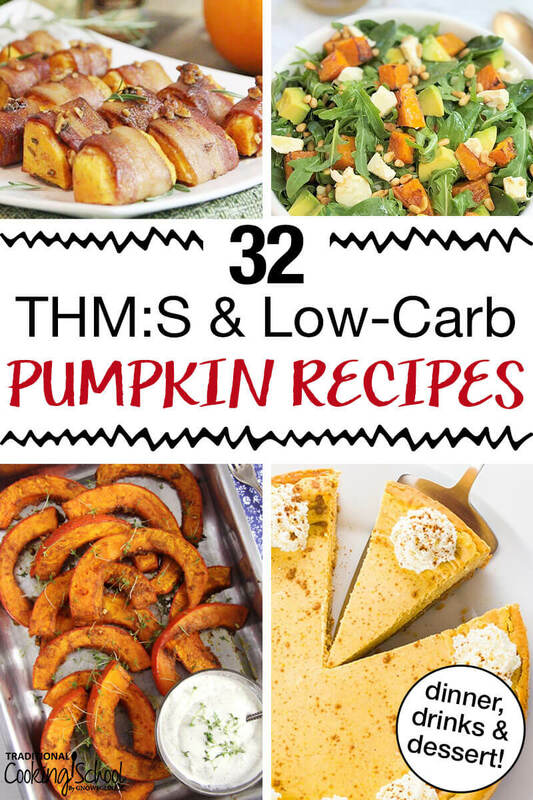 Do you have any favorite low-carb pumpkin recipes to share? Main images courtesy of The Paleo Mom, Chef Not Required, Where is My Spoon, and Wholesome Yum.